We've all heard about exfoliating our skin but what about our lips? Lips get just as dry and chapped as our skin. 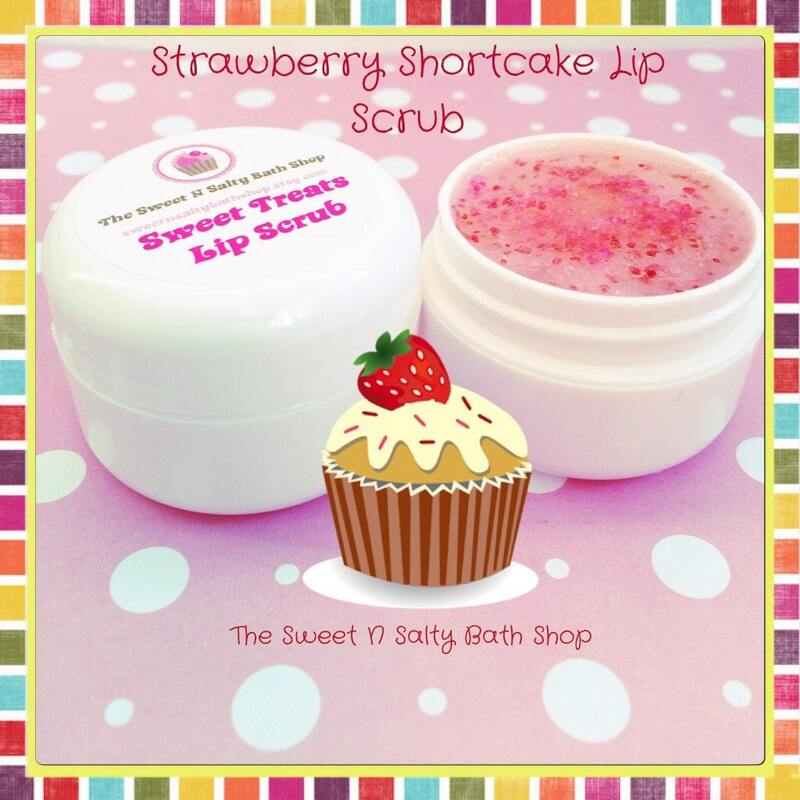 So why not pamper our lips with this delicious scented and flavored sugar scrub? This 1/2 oz jar of scrub comes in several delicious scents. Remember, a little goes a long way! 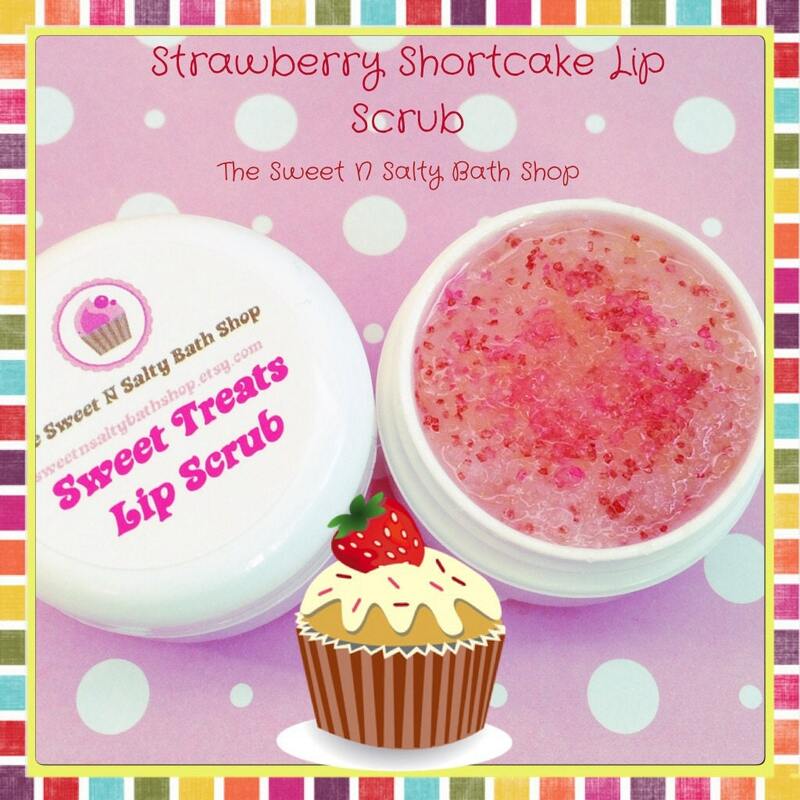 This sweet lip scrub is a delicious treat for your lips and your taste buds! 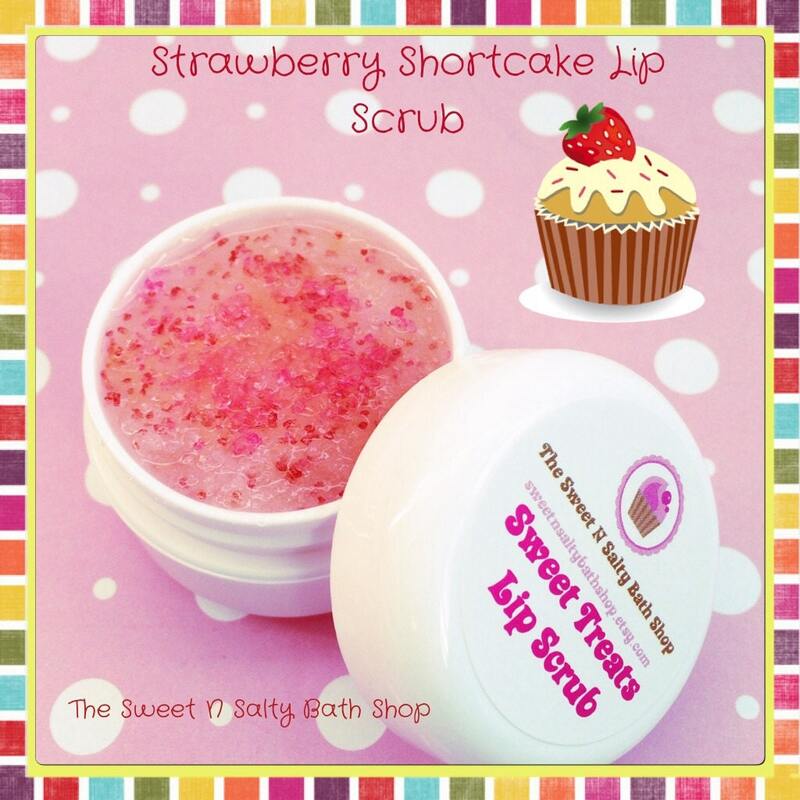 To use simply rub a small amount on lips and exfoliate them for 15-30 seconds and lick off. The gritty sugar and oils will removed dead skins cells, leaving your lips soft, shiny, and kissably soft. 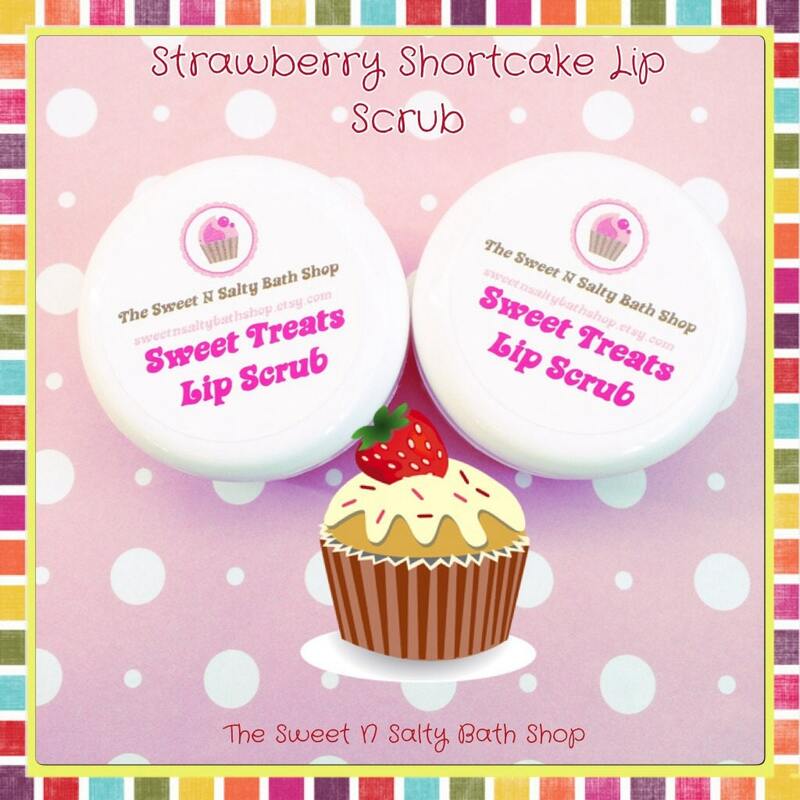 Each lip scrub is individually packaged in a cello bag and tied with a bow.